Forms tight clumps of dull, very stiff coppery brown leaves to 1 metre tall, diverging only slightly from vertical until older. The leaves age to a blonde colour, the tips splitting and curling as they weather. 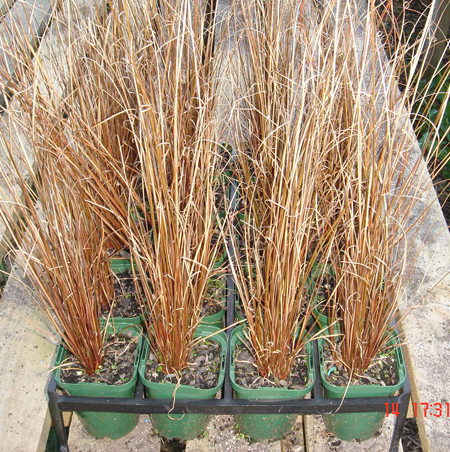 Like most sedges, excellent in containers. Can be cut back hard as older foliage begins to dominate the clumps. Sun for best color, average watering, good drainage. Frost hardy.